Accra, Dec 12, GNA - The Convention People's Party (CPP) on Saturday urged the government to ensure law and order was maintained in the country to avoid any post election related disturbances. The party said, "It has learnt with rude shock and utter disbelief the news of the death of its Northern Regional Chairman, Alhaji Issah Mobila under mysterious circumstances." A statement, signed by Dr. Nii Noi Dowuona, General Secretary of the Party called on the government to investigate the cause of the death of its Regional Chairman, which according to reports indicated that the arrest of Alhaji Mobila and subsequent placement in police custody could be attributed to election-related disturbances in the Tamale metropolis. "What remains a mystery is the actual cause of his death." It said action must be initiated to investigate the cause of the death and other reported acts of violence and loss of lives in the Tamale metropolis and other areas and the offenders prosecuted accordingly. The statement said the party would discuss this unfortunate development and "take a definitive position on the matter." The CPP expressed its heartfelt condolence to the bereaved family for this irreparable loss. "We wish those who have been hospitalised for various degree of injury a speedy recovery. 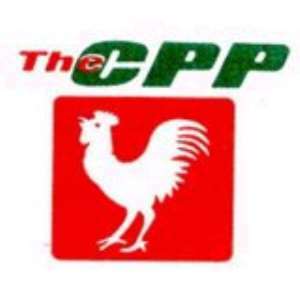 Meanwhile, the CPP appealed to its party members to exercise the greatest sense of restraint to allow the security agencies to deal with the matters.